EDIT (07-Mar-15): If you own version 12 of the ESP8266 or any version where more GPIO are exposed read here about some additional info for flashing the firmware. 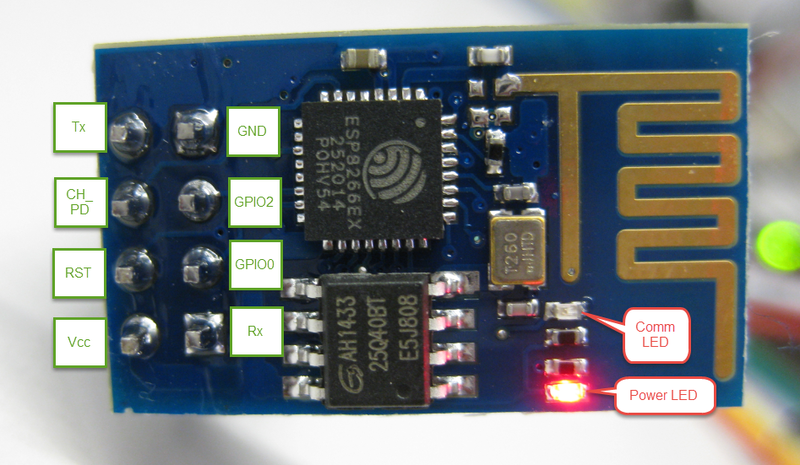 You are probably a fan of the blog ;) or you already know what the ESP8266 is. For those of you who don't know what a ESP8266 is, it's a small WiFi module with an arm processor and it has all the functionality of WiFi excluding ssl. Also it's Arduino compatible and it's the most cheap arduino compatible WiFi module there is. But on this post we are not going to mention arduino (more than we have to at-least). After connecting the ESP8266 to the UART you simply push the FLASH button in the nodemcu-flasher and that's it it should start flash the firmware to the ESP. Note that if it doesn't start after a minute or less you probably have a problem with the connections or with the driver to the UART(TTL), also maybe the flash tool doesn't know what com port to use when flashing the firmware.